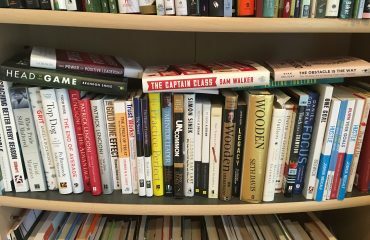 Yes, it is that time of year again, the time where our staff shares some of our favorite reads in the world of coaching, parenting, and athlete development. We are all avid readers and lifelong learners, and every year we pour through numerous books, articles, podcasts and more looking for inspiration and great information to pass on to all of you. Below you will find our favorite books of 2016, the ones we picked up and learned the most from. You can click on any title to cover image to grab it on Amazon. At the end of the article is a link to our favorite books from years past, in case you want to dive deeper or get a book for a parent, coach or athlete in your life. Enjoy. This book was the clear winner for me this year. Most books by coaches (Mike Smith Coaches the NFL’s Atlanta Falcons) talk about their championship season. This book shares how Smith took the Falcons from an also ran to perennial title contender by purposefully building the culture. Then it details how he lost sight of the things that made them great, which eventually cost him his job. The book also contains tremendous insight from Jon Gordon on his work building positive team cultures, and tons a great activities for coaches to do with their teams. This book is a must for any serious coach! How do coaches and leaders get the most out of their people? Start by taking ownership of everything, both good and bad. This great read details lessons learned by the authors during their time as SEAL team commanders with Task Unit Bruiser during the Iraq War, and how any leader can learn from what the SEALs do. Our biggest takeaway: when a leader blames a team member, the blame game starts and excuses start flying. The blame cascades down and ultimately no one takes responsibility. But when leaders have “extreme ownership” then team members will admit to wrongdoing and be held accountable as well. Think about that your next team talk! The author attended our Way of Champions conference in July 2016, and that is how we learned about this wonderful book. In it, she tells her story as a consultant with a talented but underachieving high school hockey team. She tells how she used her business experience building strength based teams to help every individual understand what their teammates brought to the team, the reasons behind their behavior, and a path forward that eventually leads to a state championship. Monte shares her entire blueprint that coaches can do with their own teams. It is a great read. If you have read The Talent Code or Outliers then you have heard of Anders Ericsson, the researcher on expertise whose work was slightly bastardized by Malcolm Gladwell and others into the false “10,000 Hour Rule.” In this book, Ericsson sets the record straight, replies to other critics of his work, and teaches coaches how to make practice both purposeful and deliberate. There are some real gems in this one. There is a reason that the college teams Dr. Lynch has consulted with have won 35 NCAA titles. It is because he teaches them about core values and being mindful in everything they do. In this gem of a book, he shares his experiences not only working with some of the world’s top athletes and coaches, but in parenting his own kids through the ups and downs of youth, high school and collegiate athletics. There were many parts of this ebook that gave us pause and caused us to reevaluate our own parenting and coaching. 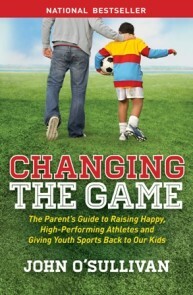 If you want to help your kids succeed in sports, grab this book! Grit is quite the buzzword in academics and sports these days, as it has been found to be a better predictor of success than things like IQ. But what exactly is grit, and why do our athletes need it if they are going to succeed in sport and life? Duckworth shares her fascinating insight into grit and other predictors of success, and details the ways many coaches and parents unintentionally inhibit their kids from developing grit by intervening at the wrong times, and for the wrong reasons. Get this book! Brown is a researcher at the University of Houston, and her work on how being vulnerable and imperfect allows us to live courageously has taken the world by storm. If you are unfamiliar with her work, watch her TED talk here. It has been viewed 27 million times for a reason. If it speaks to you, grab this book! This book is one of the most thought provoking books we have read in a long time, and the stories within this book about “average” are mind boggling. It made us consider not only our own children in sport and academics, but how we are pushing athletic development models based upon average performance by age. Does this leave enough room for the individual to develop? Isn’t mastery of a sporting technique or academic material supposed to be based upon IF they can learn something, rather than how long it takes to master it? Once you read The End of Average, you will never think of our sport or educational systems the same again. The title says it all on this one. 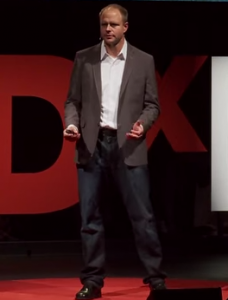 We know that all athletes will face adversity; it’s what they do when facing it that matters. This book has become mandatory reading for players on teams such as the Seattle Seahawks, New England Patriots, the Chicago Cubs and others, for good reason. We had the opportunity to read an advanced copy of this book and found it to be a very helpful guide for young athletes (and their parents) to understand how the athletic mind works, and clear the hurdles to performance (anxiety, insomnia, loneliness, low energy). This is a good handbook for kids. 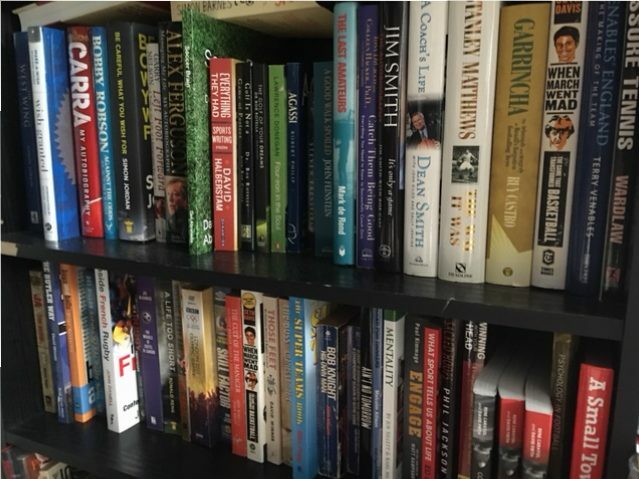 We hope that a few of these books can fill a few idle hours in your day, and help you to help your athletes from a coaching or parenting perspective. Do you have any books that you red which were published in 2016 that you think we left off the list?